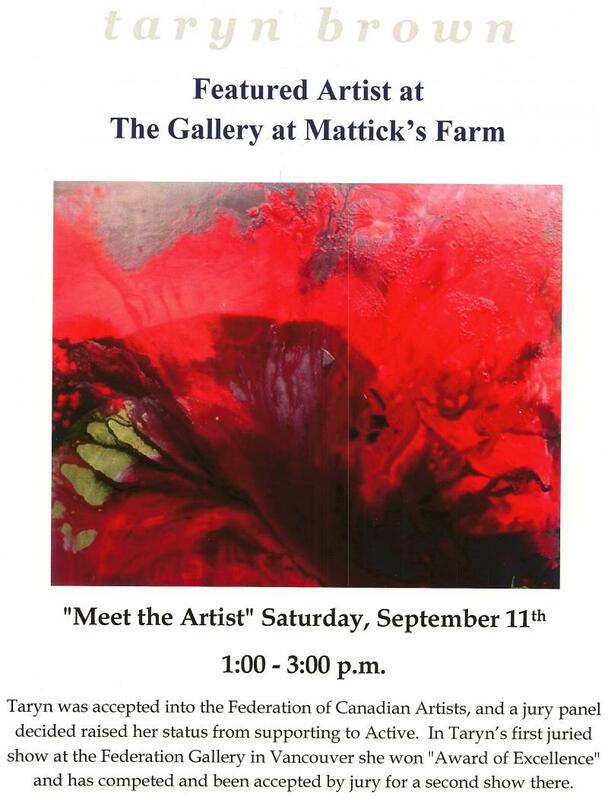 Featured Artist Show, Mattick’s Gallery, February 2019. “ I Fell In Love With Art When” Duo show Feb. AGGV, Opening and Speaking Engagement February 9, 2019. 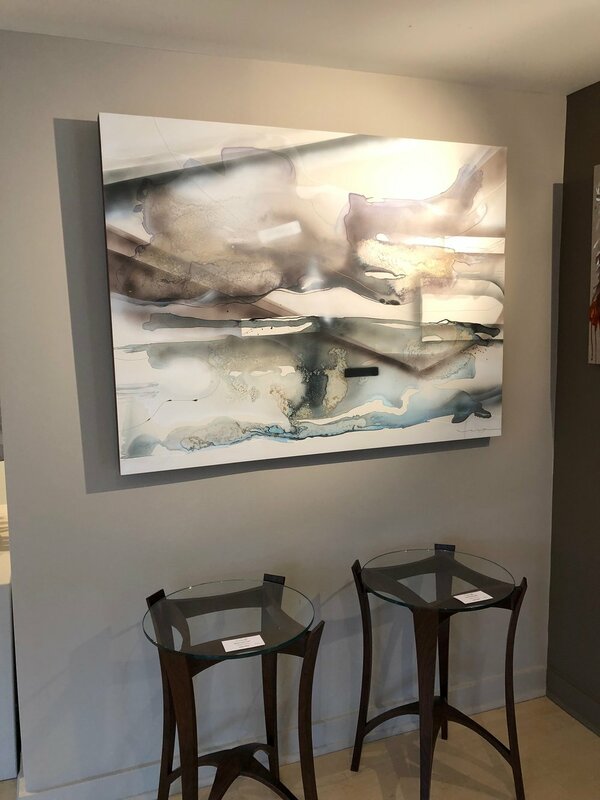 “Winter Wonderland” group show, Mattick’s Gallery, December 2018. "Spring Has Sprung" Artist Feature Show, March 2018, Gallery at Mattick's. ”Children's Hospital Fundraising Show" Mattick's Gallery, December 2017. “Group Small Works Show" AGGV, December 2017. "Small Works Show" , Gallery at Mattick's, December 2015. Gallery at Mattick's solo show, May 2011. Gallery at Mattick's, solo show, September 2010. Juried Exhibition at The Federation Gallery, Vancouver April 2015 "Canvas Unbound"
BC, May 18-30 2010, Juried Entry by FCA panel. 4-16 2010, Juried Entry by FCA panel. Received Award of Excellence. Hospice Charity Auction, September 2008. 1 Painting donated and auctioned. All artwork is the sole property of Taryn Brown and is held under copyright. The images, artwork and contents of this website may not be copied, collected or used for personal or professional gain without written permission from Taryn Brown.